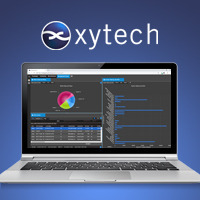 Las Vegas, April 2, 2019 — Xytech [NAB 2019 booth SL4705], leaders in facility management software for the broadcast, media services and video transmission industries, and Blackbird [NAB 2019, booth SL6716], the market-leading cloud video platform, have partnered to offer a frame accurate codec player in the version 9 of Xytech’s MediaPulse facility management software system. This partnership will help streamline the asset management process for users of MediaPulse version 9, announced at NAB 2019, and provide users with a real-time, accurate HTML5 viewer featuring compete access security for all files. Forbidden Technologies plc (AIM: FBT, www.forbidden.co.uk) floated in February 2000. Forbidden develops, markets and licenses a powerful cloud video platform using its patented Blackbird technology. The technology underpins multiple applications, which are used by rights holders, broadcasters, sports and news video specialists, eSports live events and content owners, post-production houses, other mass market digital video channels and corporations. The Blackbird technology allows full visibility on multi-location digital content, improves time to market for live content such as video clips and highlights for social media distribution, and results in much more effective monetization. Blackbird® is a registered trademark of Forbidden Technologies plc.